My husband and I attempt to visit New York City about once a year. We often take a walk through Central Park at some point during the trip. Sometimes our walk is just to enjoy a beautiful day in NYC and other times it's the shortest route to our destination. Last year it was chilly in New York when we were there in the Spring, so we walked quickly through the park to get to the closest Metro stop that would be a good route back to our hotel. 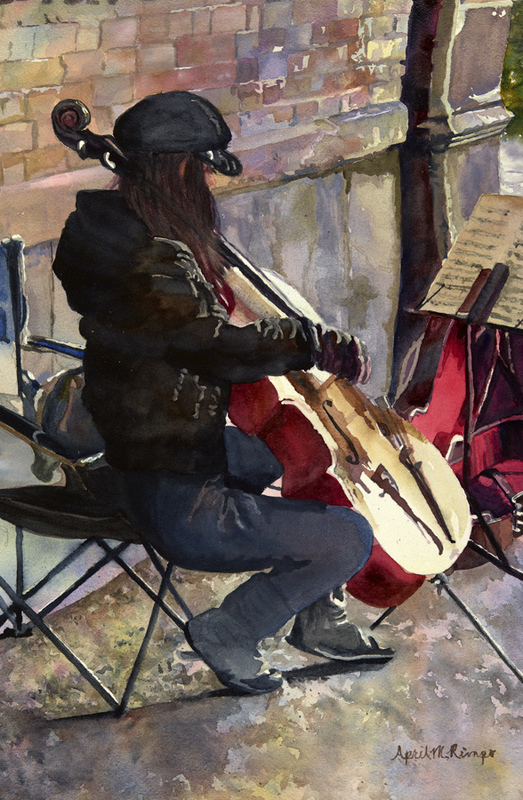 As we approached one of the tunnels on our path I noticed this young woman sitting just inside the tunnel playing her cello. Her music was lovely. I took photographs of her as we approached and after we passed her. I couldn't help but wonder about her music background. For me she represented so many great musicians working hard to succeed. 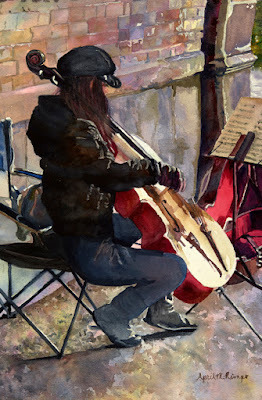 But maybe instead it was just a sunny Spring day and she was sharing her musical art with the world. Interested in April's artwork or taking one of her classes? Consider becoming a Studio Friend by signing up for her twice-monthly email. April segments her newsletter so you can select topics you'd like to hear about when you sign up. For those who Select the General Interest topic you will receive emails about twice-monthly. If you are only interested in classes, then the emails will be much less frequent discussing upcoming classes and how to register. Select as many topics as sound of interest. 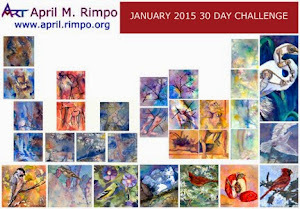 Thank you for your support of April M Rimpo Art.